In 2017 GE funded 3D printing into over 400 schools. This is set to expand in 2018! 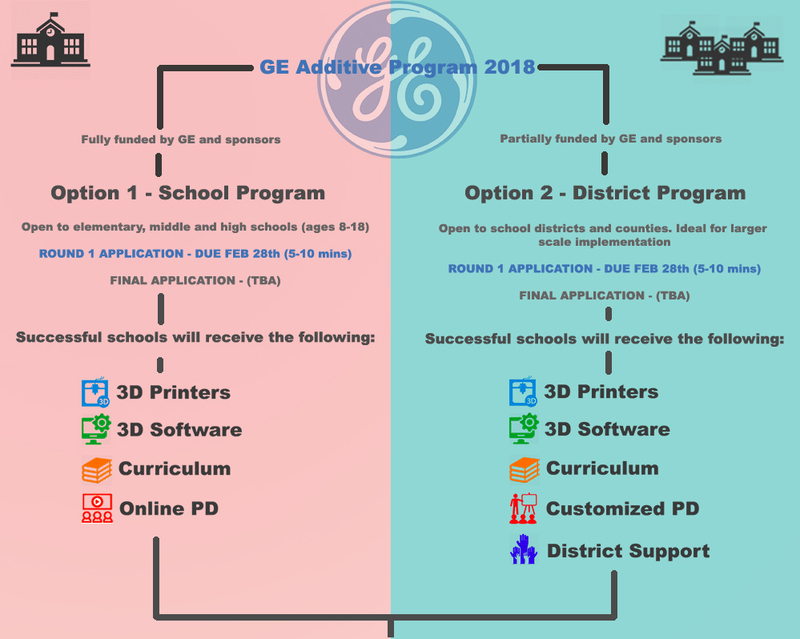 The GE additive program helps schools and districts who are looking to effectively integrate new technologies into the curriculum. Successful schools get to partner with a range of companies committed to utilizing 3D printing and design technologies. 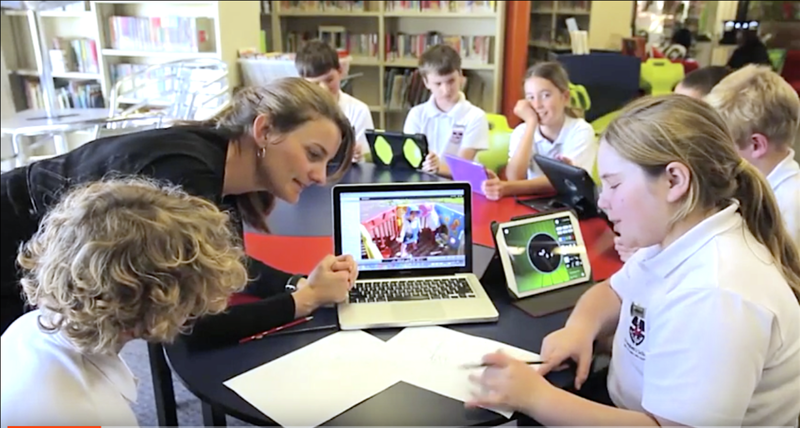 These technologies help promote design thinking, STEAM education and can give your students a 21st century learning experience. This has been especially popular in the makerspace environment, but is accessible to all grade levels(k-12) and subject areas. The GE program is also a fantastic opportunity for K-8 schools, who often miss out on such funding opportunties! After completing the application, schools will receive a confirmation email. Further details to follow. Successful schools will be fully funded with all the learning tools and resources they need. Please fill out a best guess of what your district might need. This will allow a more detailed discussion to determine the unique needs of the district. Successful school will receive close to 50% savings on hardware, software and learning support. More information about the professional development available in the district program.